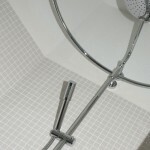 The bathrooms have beautiful new design sanitary (including Philippe Starck X), Dornbracht taps and wonderful rain showers. 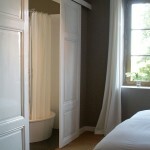 In Chateau Les Bardons there are three bathrooms. 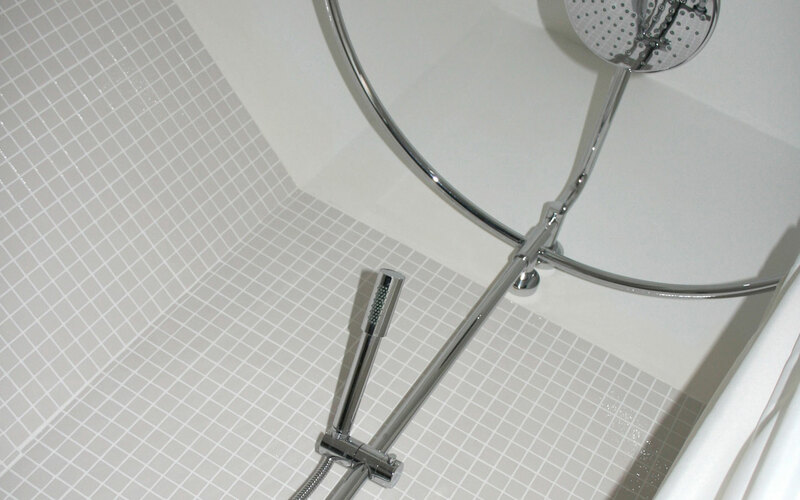 All three are newly built, with all the luxury you can imagine: relaxing rain showers, Philippe Starck X-line sanitary and beautifully designed Dornbracht taps. 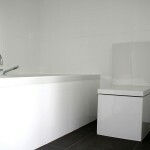 One of the bathrooms is situated on the ground floor, “en-suite” with the groundfloor bedroom. The other two bathrooms are located on the first floor, of which one has an XL bath. 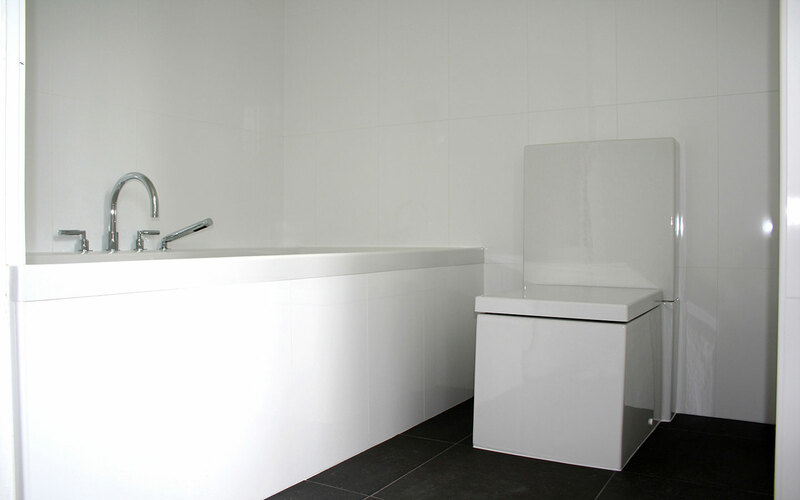 On the ground floor there’s also a separate, fully renovated toilet, also with Philippe Starck sanitary and a separate room for the washing machine, steam iron, ironing board, etc.